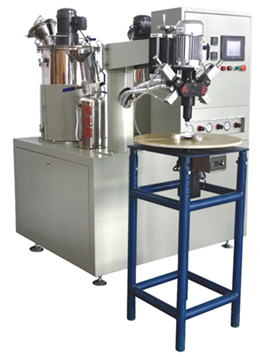 This machine is used to pour two-component material into the filter end caps. 6. The machine has the man-machine interface and controlled by PLC, which is easy to operation.